Alex Prunty Racing: Andy Flatt Wins 1st Alex Prunty Racing MPTC Scholarship! Andy Flatt Wins 1st Alex Prunty Racing MPTC Scholarship! 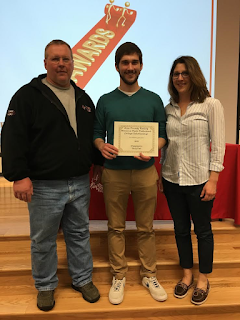 Congratulations to Andy Flatt from Lomira High School on being awarded the 1st $500 Alex Prunty Racing Moraine Park Technical College Scholarship Award! Andy will be attending MPTC for Mechanical Design Technology! Wishing you the best of luck, and hope you enjoy your experience at Moraine Park Technical College!